ProTec accommodates any requirement or friction level for underground mining and other industrial brake puck applications. 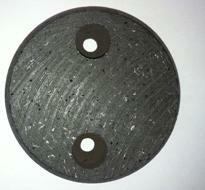 We also supply OE quality steel plates for Joy stack kits. Underground mining pucks are also available in solid Kevlar.